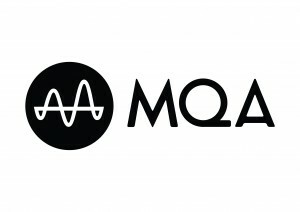 Why does a UNAMAS Label release MQA Format? “Those MQA albums released by UNAMAS, are they high-res, something doubtful or mere lossless?” We often receive such questions. 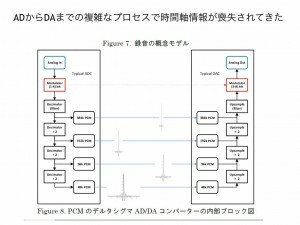 So, I would like to talk about the “features of MQA” from the viewpoint of high-res music producer myself. Bob Stuart, the father of MQA, has devoted his long period of time in the research and development of digital technologies and music. His invention of “MLP” is the lossless coding technology adopted in DVD-Audio and further inherited in Dolby TrueHD. 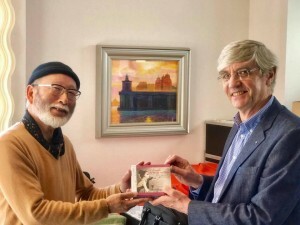 Being a fellow member of AES, I am one of admirers of Bob for his continued efforts in technology development and his strong passion of music. 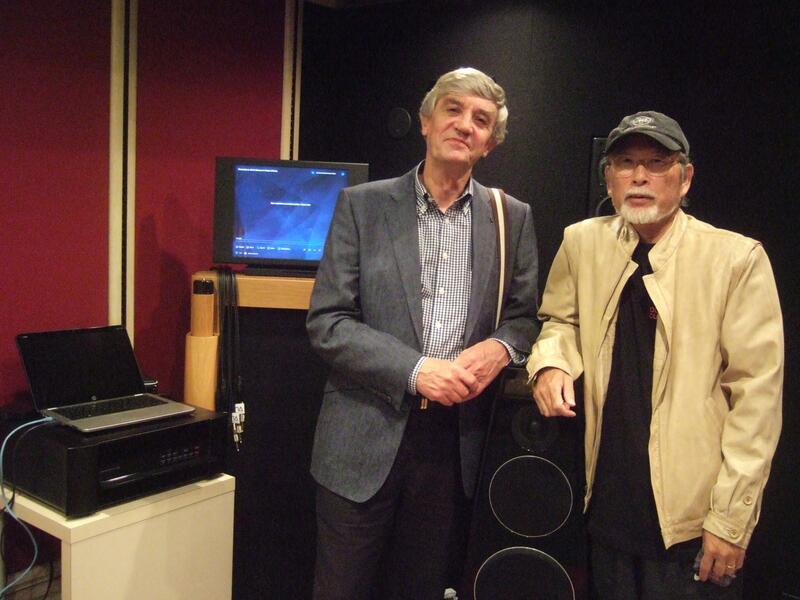 Afterwards, I sent some sample recordings to England, and I managed the evaluation playback of the encoded 48kHz/24bit FLAC files using MQA-equipped Meridian Prime headphone amp and Foober 2000 player in my studio. 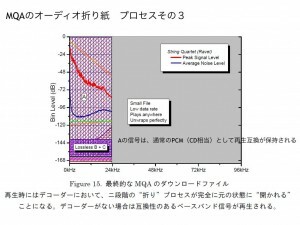 I had an impression of the lows slightly recessed but they successfully reproduced the original masters, and above all, its transfer rate was merely around 1Mbps to preserve the quality of 192kHz/24bit masters, which looked like a magical advantage, hence the decision of UNAMAS Label to incorporate MQA. 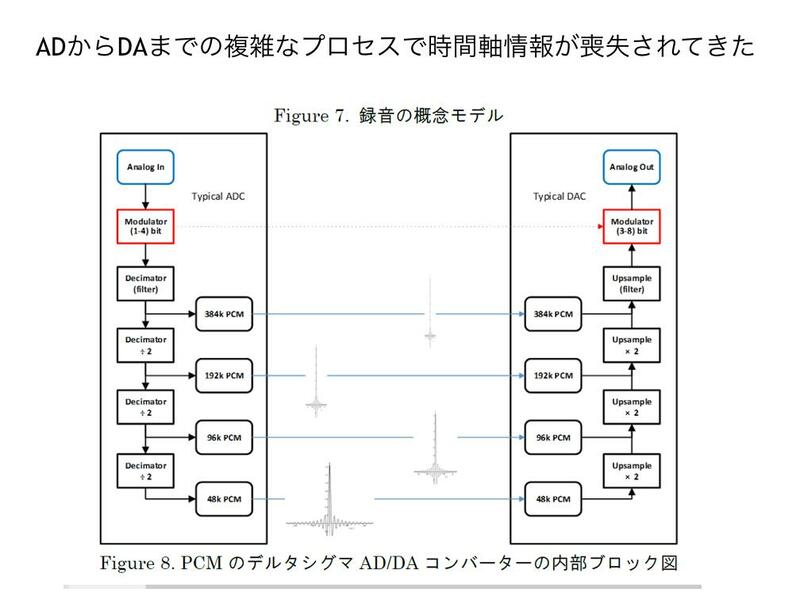 I will try to explain the warp and the woof about MQA following some of documents presented by Bob because we Japanese tend to be a “hardware-oriented” race not quickly appreciating new technologies until they understand the logic instead of simply admitting their satisfaction in listening! 2. Realistic delivery in lower transfer rate, also decodable original master sound quality. 3. Installation to existing package media (CDs and alike) without altering their fundamental specifications, thus fully backward compatible. I will discuss this issue along some slides that Bob prepared for his technology presentation. 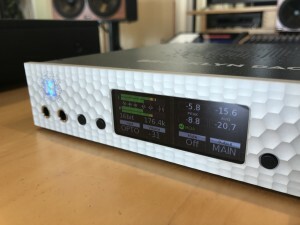 First of all, now the music delivery chain from digital recording to final equipment at home is pretty much digital domain today, but what Bob defined is the reality of signal alteration in each step within the digital domain. The time domain information has been lost in the complicated process between A/D and D/A. 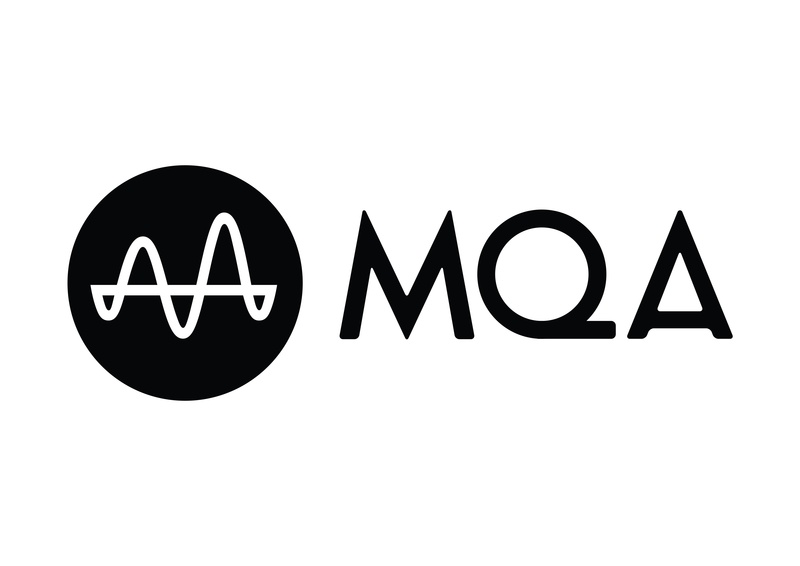 Various approaches have been introduced for improvement to date such as D-D converters, rigid master clock supplies, and jitter reductions, but MQA sails upstream to the very beginning where the recording happens: It identifies the A/D converter used for the recording so that MQA decoders of end-users can reconstruct the same time domain signal structure by correcting the digital delivery file, which is the major feature of MQA. 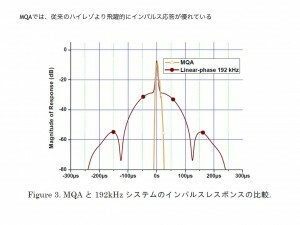 MQA refers this to “de-blur” or “de-bleeding”. It requires to collect information about DAW and A/D converter for the specific session from the engineer or the record label company and to make analysis of equipment behavior. We, UNAMAS, always attach the memo clarifying the names of DAW and converter products when we request MQA encoding and also present the raw data sample sound before the final mix. This enables them to analyze the digital signal structure at the point of A/D conversion in the original recording that is coded into metadata for MQA encoding and eventually resides in the MQA-FLAC file. When one feels this sounds a bother, or suspicious about his know-how being ripped off, this system won’t help such record labels and manufacturers. The essential factor is the coding framework in which the temporal information at the point of A/D conversion is conceived as metadata in MQA encode that enables D/A to function exactly on the same temporal slices through MQA decoding. 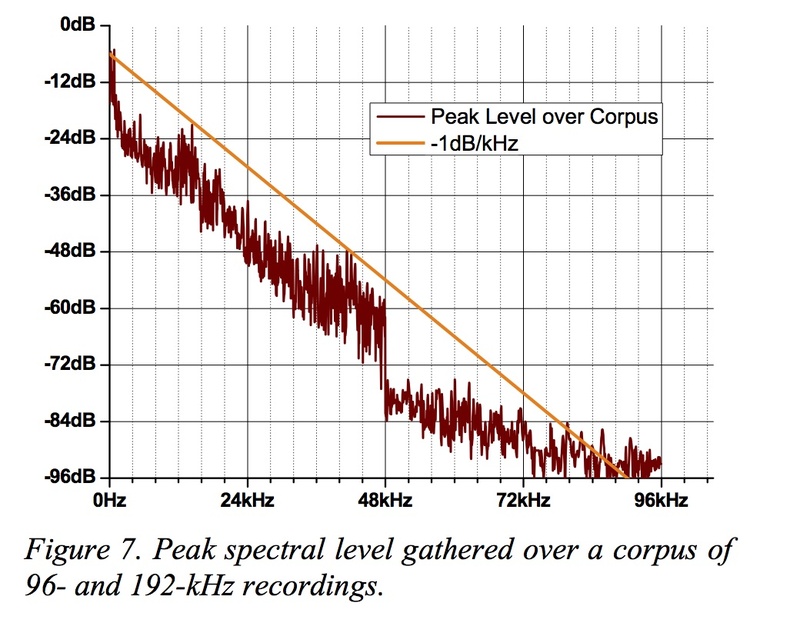 Why is the impulse response so important for music reproduction? 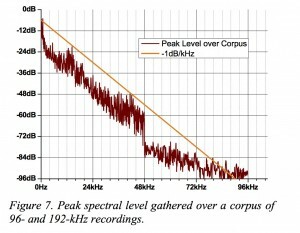 Regarding this, Bob describes, “High res has been pursuing the extended frequency range because of higher sampling, but when we analyze music signals, their spectral distribution is triangular. 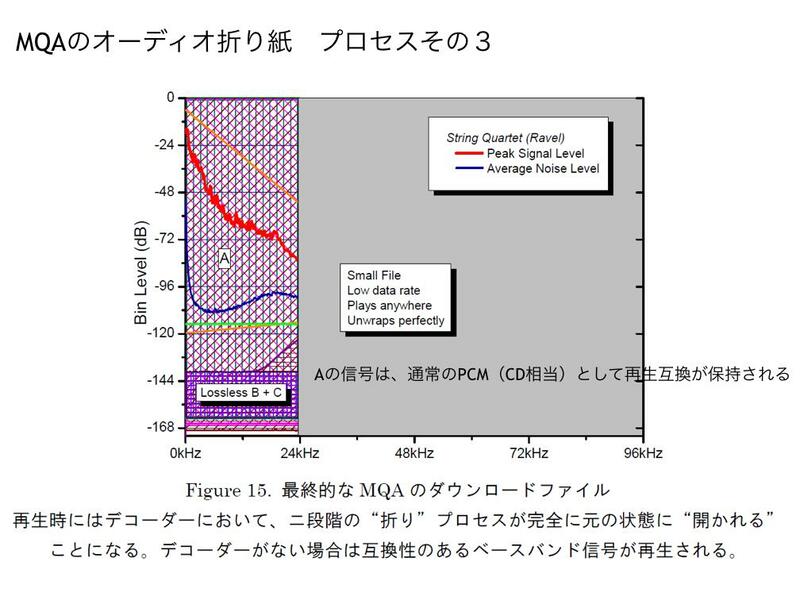 What is extended by higher sampling is the impulse response and pre-/post-echoes in the A/D conversion that are perceived as temporal blur.” Human auditory sensitivity to impulses is in the region of 5-to-8µsec, and MQA can handle as close as 10 µsec at the moment. 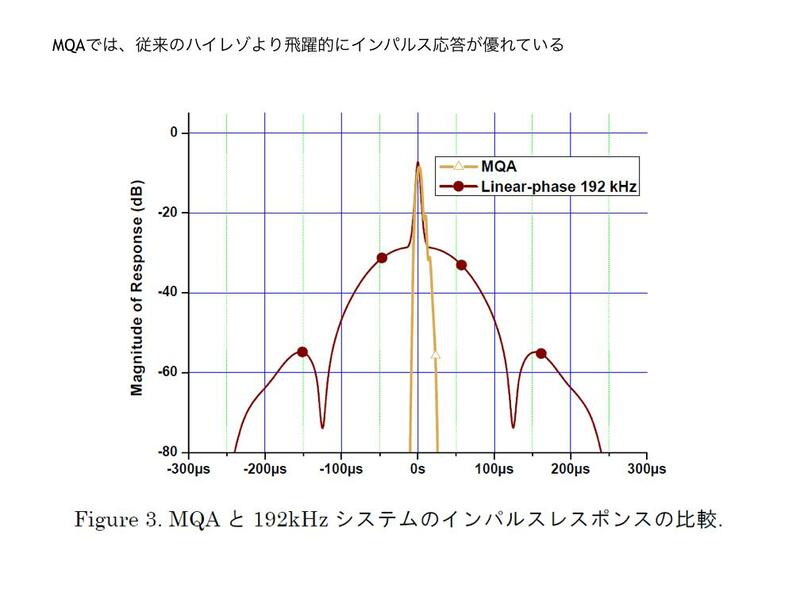 The graph below shows the difference of de-blurring ability between 192kHz/24bit PCM master and MQA in which the temporal errors with 192/24 has the distribution of about 100 µsec range while that of MQA stays within 10 µsec. This can dramatically improve the resolution and imaging/sound-staging in music signals. Larger file size costs longer time for download. In case of streaming, the intermittent sound loss is considered a fatal disadvantage, and therefore they use commonly such data rates as 128k to 256kbps typically found in MP3. 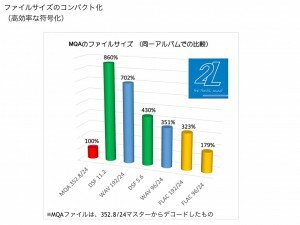 In today’s network environment, the transfer rate of 1Mbps is a logical choice for high quality transmission, and MQA’s 48kHz/24bit encoded data provides a definite advantage to offer the master quality without any stress by decoding data. It was truly impressive when I had a chance to listen to the playback of music in 192-24 from a streaming through MQA coding in the spring of 2017. 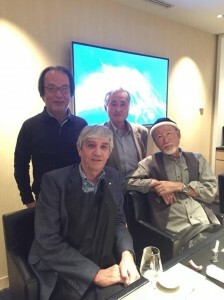 MQA-CD is like “Old Bottle, New Wine” and one of my colleagues with much curiosity of quality of music was Samurai Seiji who collaborated with me in experiment and evaluation, I was deeply moved when the experiment was successful. What an amazing to playback Hi-Res from CD! And we released the world’s first MQA-CD “A. Piazzolla by Strings and Oboe” in the spring of 2017. My UNAMAS Label basically does not release titles in package, and OTTAVA Records takes care of all those releases since Piazzolla disc. More technical documents are available from MQAWebsite.